While South Africa continues to debate whether it is, or should be, constitutionally permissible for the government to expropriate land without compensation, as a form of redressing apartheid dispossession, it is important to consider the effect such a move may have on not only foreign direct investment (“FDI”) but international law. FDI is the lifeblood of any developing economy, and South Africa cannot afford to forego it. From 2013 to 2017, while FDI inflows into the country declined from US$ 8.3 billion to US$ 1.3 billion, its annual GDP growth rate fell from 2.5 to 1.3 percent. The proposed amendment of section 25 of the Constitution – the property clause – (even while it is still being debated) may well affect the pricing of investment risk, which may lead prospective as well as existing investors to turn their attention to more hospitable investment destinations. Existing foreign investors, in particular, will need to consider what rights and recourse might be available to them under international law to mitigate the risk of expropriation without compensation. 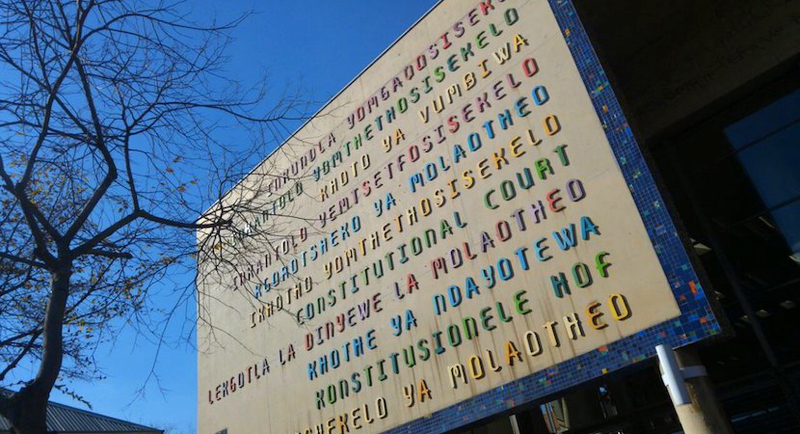 The Constitutional Court of South Africa. As explained in our second update, section 25 of the Constitution provides that the amount, manner and timing of compensation for expropriation must be “just and equitable, reflecting an equitable balance between the public interest and the interests of those affected, having regard to all relevant circumstances”. The market value of the property is but one of several factors that must be taken into account. It is therefore conceivable that, in particular circumstances, it might be “just and equitable” for the amount of compensation to be much lower than market value, or even possibly zero. The courts have, however, generally not departed from market value when calculating compensation for expropriation even in land reform cases. Additional legal protections may be available when the property owner is a foreign investor, because the government’s conduct is then regulated not simply by the Constitution but by international law. For the reasons set out below, uncompensated expropriation of foreign-owned property may well constitute a violation of South Africa’s international law obligations, both under customary international law as well as under a number of treaties to which it is a party. Under customary international law, each sovereign state expects other states to treat its nationals and their property in accordance with certain basic standards, collectively known as the “international minimum standard of treatment”. This standard entails that expropriation may only be undertaken for a legitimate public purpose, in accordance with non-discriminatory due process, and accompanied by compensation. Opinion is divided, however, as to the amount, manner and timing of this compensation. The standard often expected (and certainly preferred) by foreign investors is “prompt, adequate and effective” compensation, language used in 1938 by then US Secretary of State, Cordell Hull, in representations to the Government of Mexico in respect of land confiscated from US nationals for agrarian reform purposes in 1917, during the Mexican Revolution. In practice, the “Hull formula” requires prompt payment of the full market value the property bore before the expropriation was undertaken. While capital-exporting countries understandably prefer the Hull formula, developing countries have increasingly inclined towards a more flexible standard of “appropriate compensation”. The notion was introduced in the United Nations General Assembly’s 1962 Resolution on Permanent Sovereignty over Natural Resources and replicated in its 1974 Charter of Economic Rights and Duties of States. Although there is no consensus on what this term means in practice, at least one arbitral tribunal has held that it requires an enquiry into all relevant circumstances rather than fixation on any particular formula (such as market value). Despite these potentially different expectations of what amount compensation must be paid, under customary international law, upon the expropriation of a foreign investor’s property, there is clear consensus that it requires that at least some amount of compensation must be paid. This basic norm is common to the Hull formula and the later United Nations resolutions. To the extent, therefore, that section 25 of the Constitution is interpreted or amended to permit the expropriation of foreign-owned property without any compensation at all, any such expropriation would contravene customary international law. A breach of customary international law engages the international responsibility of the state, which is traditionally enforceable only by one sovereign state against another (exercising so-called “diplomatic protection” over its own nationals). Over time, however, sovereign states began to conclude agreements with one another, which not only defined the applicable standards of treatment (including compensation for expropriation) but empowered the nationals of one state to enforce those standards directly against another through international arbitration. Most of these agreements take the form of bilateral investment treaties (“BITs”) (i.e. concluded between two states). To date, at least 2,952 BITs have been concluded globally, of which at least 2,358 are currently in force (the BITs which South Africa are party to are elaborated on below). Some agreements are multilateral, such as the 1965 Washington Convention, which created the International Centre for Settlement of Investment Disputes (“ICSID”), a standing investor-state arbitration facility which is part of the World Bank Group. The Washington Convention has been ratified by 153 countries, but not South Africa, meaning that the nationals of one of those countries, who have invested in the territory of another, may sue that “host state” at ICSID. 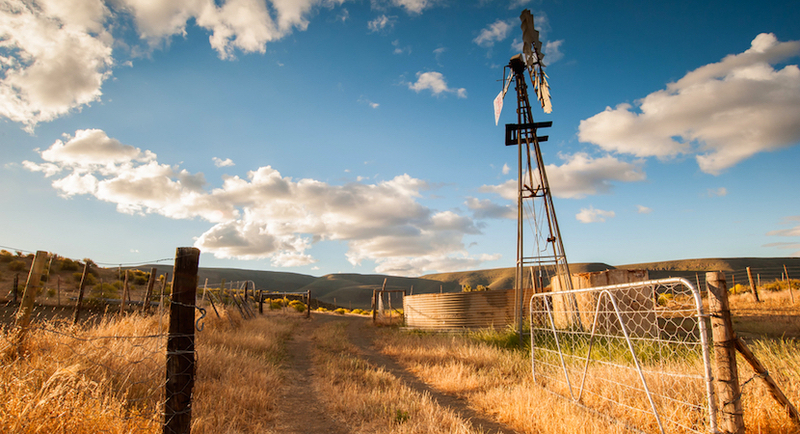 The use of investor-state arbitration as a remedy against expropriation of land without compensation is illustrated most vividly by the experience of South Africa’s northerly neighbour, Zimbabwe. Before embarking on its controversial “fast-track land reform programme” (which culminated in the amendment of Zimbabwe’s Constitution in 2004), Zimbabwe had ratified the ICSID Convention and concluded thirty-one BITs, each requiring market value compensation for expropriation. Contrary to the protections afforded under these BITs, the 2004 constitutional amendment permitted the state to confiscate any land without due process (ousting the jurisdiction of the courts) and without any compensation other than for improvements made by the owner. Before long, Zimbabwe faced its first ICSID claim, instituted in 2003 by a group of Dutch nationals whose farms had been seized. In 2009, an ICSID tribunal awarded the claimants US$ 10.6 million (plus 10 percent interest compounded every six months). The unpaid debt, after applying interest, stood at US$ 25 million by the end of 2015, when a US District Court authorised the claimants to execute the award against the US assets of several Zimbabwean state-owned entities. In 2015, another ICSID tribunal upheld a claim against Zimbabwe by Swiss and German landowners and awarded them compensation (including moral damages) totalling over US$ 195 million. The Tribunal also ordered Zimbabwe to bear the claimants’ legal costs (about US$ 20 million), as well as the Tribunal’s costs (US$ 1.3 million). Zimbabwe’s own legal costs came to almost US$ 2 million. These cases illustrate how, when expropriating property owned by foreigners who are afforded protection under international law, paying no compensation may ultimately cost the government much more than simply market value. This experience holds important lessons for South Africa. After holding its first democratic elections and re-integrating into the international community in 1994, South Africa concluded forty-nine BITs, of which twenty-two entered into force. All of these permit investors from the other state party to institute an international arbitration claim against South Africa (including at ICSID in many cases, even though South Africa is not a member of ICSID). These BITs typically prescribe the Hull formula of “prompt, adequate and effective” compensation for expropriation. By the time Zimbabwe suffered its first adverse ICSID award in 2009, South Africa had also faced two significant investor-state arbitration claims. In 2003, an ad hoc tribunal ordered South Africa to pay a Swiss national an undisclosed sum of damages for having failed to protect his game farm from land invasion and vandalism. In 2007, an ICSID claim was instituted by Italian and Luxembourg investors (under the ICSID Additional Facility Rules), arguing that the imposition of mandatory black empowerment ownership requirements on their South African subsidiaries amounted to uncompensated expropriation, among other breaches of the applicable BITs. The parties ultimately settled the matter in 2010. · spearheaded an amendment to the 2006 SADC Protocol on Finance and Investment, which (among other things) removes investors’ recourse to international arbitration, and replace the Hull formula of “prompt, adequate and effective” compensation with a more flexible standard modelled on the South African Constitution. Earlier this year, the Cabinet approved this amendment. If Parliament ratifies the decision, South Africa will become the tenth signatory to the Agreement. Where does this leave foreign investors? It is an accepted principle of international law that a country cannot simply implement domestic legislation to avoid its international law obligations. Because of this, regardless of what domestic legislation (which includes what the Constitution) prescribes, foreign investors can still rely on the protection afforded by the existing BITs, if they can show that they qualify as “investors” in terms of those treaties (for more detail on how to establish this, see our recent briefing note here). Second, many of the BITs include “sunset clauses” which provide that the protection afforded under the BIT will remain in place for a specified number of years after the BIT is terminated. As a consequence, a foreign investor’s rights under these treaties remain in place even after it is terminated. Article 14 of the BIT between the United Kingdom and South Africa, by way of example, provides that investors who invest in either country before the BIT is terminated, will continue to enjoy the rights under the agreement for a further twenty years after the agreement is terminated. Third, there is a strong argument that the “just and equitable” compensation prescribed by the Constitution, in circumstances where the property owner is a foreign national, must at least meet the standard set by customary international law or by any BIT that may be applicable. This is so because the Constitution itself commands the government (including the courts) to obey its international obligations. Finally, there is a further, more practical, reason. In striking an “equitable balance between the public interest and the interests of those affected” (as required by section 25 of the Constitution), a court could not ignore the compelling public interest in ensuring that South Africa does not breach its international obligations, and thus does not waste scarce resources defending an international claim, and possibly paying damages, costs and interest, when this would be obviated by the prompt payment of adequate compensation. If, however, the Constitution is interpreted, or amended, to permit the expropriation of property owned by foreign nationals without any compensation, South Africa could become vulnerable to numerous investor-state arbitration claims, capable of costing the country much more than the market value of the expropriated investments. As well as the immediate cost, such claims may have considerable impact on the country’s attractiveness as an investment destination, as the experience in Zimbabwe and further afield in Venezuela has vividly shown. 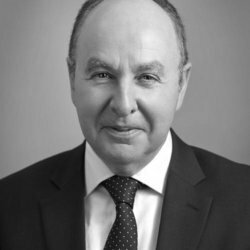 Peter Leon is Partner and Co-Chair of Herbert Smith Freehills.